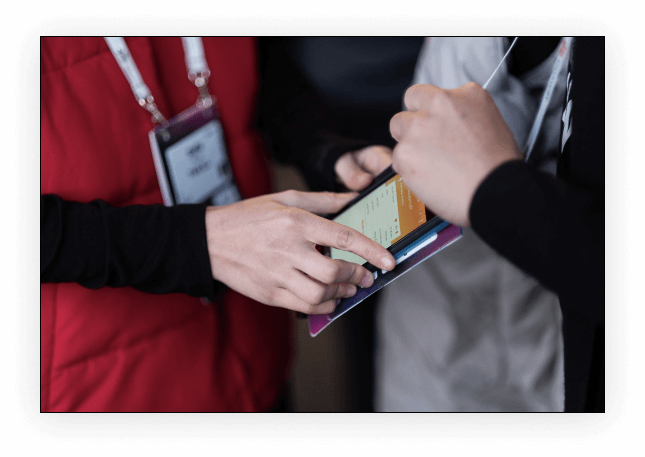 Empower your exhibitors and sponsors with a simple and robust mobile app to capture, qualify and follow-up with leads. Use your iOS or Android device or rent one from us onsite. Don't let any lead slip away. Directly upload leads into your CRM or MAS provider so they can be followed-up with immediately after capture. Track, record, and measure attendee attendance during the event and breakout sessions. Easily cross reference data with previous events to measure loyalty rates and attendance evolution. Leverage the technology that suits your event - scan with NFC, Bluetooth LE, UHF, QR or business card capture. A lead is only as good as its qualification. Effectively score leads on our lead retrieval app by taking notes and surveys that sync to your CRM. Our lead retrieval application is fully compatible with NFC enabled iPhone 7 or newer with the purchase of an app license.